Negotiators delivered a proposal to cut farm programs by $23 billion over five years as part of a deficit-reduction plan just as partisan divisions seemed likely to derail the process and lead to a more traditional Farm Bill debate next year. "Regional politics trump party" in the proposal to the Joint Select Committee on Deficit Reduction, better known as the "supercommittee," David Rogers of Politico reports. The agriculture committees of the House and Senate have been challenged to balance competing Southern, Corn Belt and Great Plains interests in reducing subsidies. As expected, the plan would phase out the current direct cash payments but offer three new options for farmers. One option, a supplemental crop insurance plan to guarantee up to 90 percent of average farm income, "would allow a more individualized, farm-based standard demanded by Great Plains states . 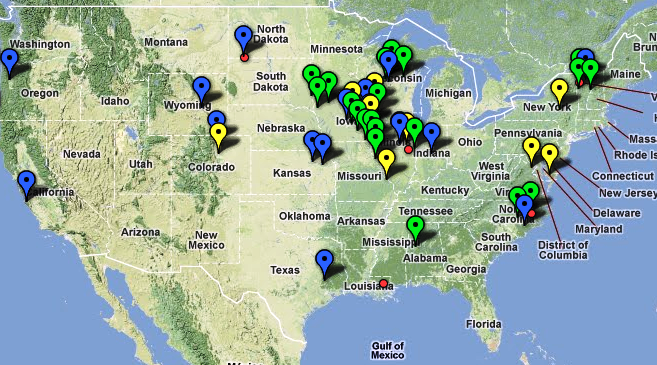 . . than the Midwest Corn Belt," Rogers reports. Under the plan, lLandowners with adjusted gross income of more than $950,000 would be ineligible for commodity-program payments, and payments would be limited to $105,000 per producer. USDA Rural Development programs would continue, but with lower spending levels. For details, click here. The Johns Hopkins Center for a Livable Future has created an online tool anyone can use to visually analyze details of the proposed Farm Bill, the Pork Network reports. To analyze the farm bill options, click here. The Hispanic population has "spiked by 54 percent" in the rural Great Plains, reviving many communities, The New York Times reports. Hispanic residents are opening Mexican groceries in vacated storefronts, enrolling in diminishing school districts, living in formerly vacant houses and working in these small communities, correspondent A.G. Sulzberger reports. (Times graphic: Hispanic and white population changes, Hispanic percentage change; click for larger version) Bazine, Kan., has seen population growth for the first time in over a half century, The latest census shows the town a population of 334 and an increase in Hispanic population from 4 to 86 from 2000 to 2010, Sulzberger reports. "The decline was happening," Mayor Patricia Showalter told him. "And then the Hispanics came." Now houses are occupied and the local school has seen an increase in enrollment, from 35 to 46. From Nov. 14 through Dec. 25, the networks of Discovery Communications will air multiple documentary-style videos to educate consumers about agriculture's commitment to healthy food choices and build trust of farmers and ranchers among consumers, Marlys Miller, editor of Pork Magazine reports for the DairyHerd Network. The year-old U.S. Farmers & Ranchers Alliance and Discovery have partnered to produce three 60-second videos and one longer video featuring farmers, ranchers and U.S. consumers who "have real questions and make real decisions about the healthy choices they make for themselves and their family," USFRA officials told Miller. (Read more) To view the videos online, click here. Would proposed labor rules limit FFA and 4-H members' farm work to their parents' property? The U.S. Department of Labor's proposed revisions to child-labor rules have some wondering what will happen to FFA and 4-H programs if children under 16 can no longer work except on farms owned by their parents. Ty Walter, an FFA member and freshman at Laramie County Community College in Cheyenne, Wyo., told The Fence Post he would hate to see the rules take affect because they may take away the hands-on learning experience for many students. The proposal would "prohibit child agricultural work with animals, along with pesticides, timber, manure pits and storage bins," Eric Brown writes. "The restrictions would also include barring children younger than 16 from operating most power-driven equipment, and all youth in both agricultural and non-agricultural work from using electronic devices while operating such equipment. Grain elevators and bins, silos, feed lots, stockyards and livestock exchanges and auctions would be off limits to non-agricultural workers younger than 18." Other opponents of the proposed rules say limiting work to parents' property would ignore the fact that many farms involve grandparents and grandchildren. The comment period for the proposal has been extended to Dec. 1. The next step is for the Labor Department to propose a final version. Today is the first National Rural Health Day, started "to increase awareness of and showcase the efforts of rural health care providers," writes Steve Eighinger of the Quincy Herald-Whig in Illinois, who interviewed several health-care providers in his Illinois town. Howard Switzer and Brian Bankston told Paine they use the method because traditional agriculture practices destroy soil. University of Tennessee agriculture expert Don Tyler disagrees. He said the new technique isn't "needed for most soils" in Tennessee because studies show the dirt isn't very compacted. Switzer and Bankston said keylining will make farms more sustainable because they don't have to import or use chemicals. Farmer Justin Sanders says he has already seen results from the practice and he plans to continue it. Arkansas farmer Thomas Post said the technique kept grass green in his fields during extreme drought while pastures around his "burned up." Only a small number of environmental violations committed by oil and gas drilling companies result in fines, and the enforced fines "often amount to little more than a rounding error for billion-dollar companies," reports Mike Soraghan of Energy & Environment News. His investigation of enforcement data focused on companies operating in drilling hot spots, which are found mostly in rural areas. "In Texas, 96 percent of 80,000 violations in 2009 resulted in no enforcement action. West Virginia, a state with 56,000 wells, issued 19 penalties last year. And Wyoming, the center of Rocky Mountain energy, collected $15,500 in fines in 2010. Pennsylvania, the most aggressive about fining violators, sought penalties for more than a quarter of the violations found last year. It levied fines for 4 percent of the violations, with the penalties totaling $3.7 million. The largest of those was a $900,000 fine against a drilling company that contaminated the water of 16 homes. That was less than the profit the company makes in three hours." And some states, he writes, don't keep track of enforcement data so no one knows the companies that are repeat violators. Some in Congress are trying to block the Obama administration's call for healthier school lunches proposed by the Department of Agriculture earlier this year. The changes would have limited potato and salt use and increased use of whole grains. New legislation introduced in a spending bill will block or delay those changes, and allow tomato paste on pizza to be considered a vegetable. Mary Jalonick of The Associated Press reports that "school meals that are subsidized by the federal government must include a certain amount of vegetables, and USDA’s proposal could have pushed pizza-makers and potato growers out of the school lunch business." Conservatives are saying government shouldn't tell kids what to eat and school districts say the proposed changes would put added strain on already tight budgets. Jalonick reports schools follow guidelines on free or reduced lunches for low-income students, but now are upset about the government telling "them exactly what foods they can't serve." A recent study by the University of Tennessee Center for Environmental Biotechnology reveals trace amounts of chemicals that could affect hormonal and immune systems at drinking water intakes of six of 11 facilities tested in the state. Anne Paine of The Tennessean reports the chemicals include insect repellent, ibuprofen, caffeine, detergents, hand-sanitizer antiseptic, hormones and chemical compounds found in plastic. "Many parts of the country have found the same compounds in waterways, which is no surprise since people excrete pharmacueticals they use and caffeinated beverages they drink and send hair care and laundry products down toilets and drains," Paine writes. Amounts found in Tennessee did not rise above existing hazard indexes, but only one of the standards, for the herbicide atrazine, is health-based. The study is the first step in a process that could establish standards to protect human health. Earlier reports suggested Americans are unwilling or unable do manual labor that appeals to immigrants and migrant workers; Bloomberg Businessweek reports the lack of interest from American workers in vacated processing and farming positions may be due to unrealistic employer expectations and an inefficient market. Chad Smith, owner of an 85-acre tomato farm outside of Birmingham, told Bloomberg he has tried to hire locals but many quit because they cannot "work fast enough to make the money they thought they could make." Does this mean they are not as capable as immigrant and migrant workers? Cedric Rayford, of Gadsden, Ala., who responded to a radio ad for farmhands, does not think so. "They gotta come up with a better pay system," Rayford tells Bloomberg, suggesting farmers move to hourly pay instead of paying per basket picked. Typically farmhands make about $2 per 25-pound basket filled, Elizabeth Dwoskin reports for Bloomberg. North Dakota is quickly becoming one of the largest oil-producing states, and not without some growing pains for many of the state's rural residents. Among those pains are increases in traffic accidents, rising rents and longer waits for medical care. Of the state's 17 counties producing oil and gas, two-thirds exceed the state's average for crash risk, according to the Great Plains Transportation Institute at North Dakota State University. The estimated property cost related to traffic crashes has increased from $90.9 million in 2006 to $121.8 million in 2010. The number of large trucks involved in crashes doubled from 2006-2010 and trucks, pickups and vans now make up more than 70 percent of crashes in these counties, The Jamestown Sun reports. To read an NBC News interview with Williston, N.D., Mayor Ward Koeser, who talks more about the traffic impact, click here. Lois Sinness, an 82 year old resident of one small Oil Patch community, is among those leaving her home because surging rent prices. Sinness' $700-a-month apartment became almost three times that due to the increased demand for housing, James MacPherson reports for The Huffington Post. "We're all on fixed incomes, living mostly on Social Security, so it's been a terrible shock," Sinness told MacPherson. North Dakota law prohibits rental rate caps, so many low income housing units are now housing oil workers who can pay higher prices, MacPherson reports. With a missile base in the area, the elderly are not the only ones left without affordable housing. Lt. John Nordstrom, a single Air Force officer, experienced a $1,000 a month rent increase for a small house he was renting, MPR News reports. At Mercy Medical Center in Williston, N.D., emergency room visits have increased 50 percent over the last 12 months creating an average wait time of at least two hours, Blake Ellis of CNN Money reports. Medicare payments may be slashed between $6 and $60 billion over the next 10 years as part of proposed spending cuts from Congress. This means, with higher percentages of retirees living in rural areas, rural hospitals may be disproportionately affected, the Center for Rural Affairs reports. Forty percent of payments to rural critical access hospitals come from Medicare, while only 32 percent of urban facilities' payments come from the program. (Read more) To see the National Rural Health Association's summary of the proposed cuts, click here. Earlier this month, we told you about the reporting of NPR and Center for Public Integrity about lack of Clean Air Act enforcement by state and federal regulators. The four-part series chronicles stories from rural places and people struggling with toxic air pollution, and are good examples of how to cover environmental stories. One part of the series focused on Ponca, Okla., and carbon black, a fine, black powdery substance and potential human carcinogen used to strengthen tires and other rubber products in the Continental Carbon facility, which adjoins a residential community on the outskirts of the town. Through their investigation of the company, reporter Howard Berkes and his colleagues found hundreds of residents in Ponca have faced "a persistent and frustrating struggle" with the company and carbon black. The effects of carbon black can be felt and seen miles away from the town, where the former mayor of Ponca said complaints about playgrounds and cars being tainted black flowed into his office. Two parts of the series detail the fight by residents of Chanute, Kan., for closer regulations of the nearby Ash Grove cement plant. Though the Kansas regional Environmental Protection Agency administrator says the plant is in compliance, Berkes and crew report "cement kilns are legally allowed to pump more toxins into the air than are hazardous-waste incinerators, which burn many of the same dangerous materials." To read stories from the series, click here. 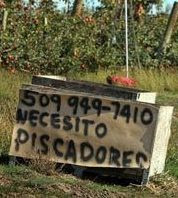 Many Washington apple growers are posting "pickers wanted" signs (Seattle Times photo by Steve Ringman) to make up for the shortage of immigrant labor they claim is caused by stricter immigration policies in places like Arizona and Alabama. Normally about 70 percent of the the state's farmworkers are in the country illegally, but tougher immigration laws have made many Mexican and other migrant workers stay away, Fox News Latino reports. Apple growers believe this could have been one of the best years ever until the shortage of workers forced them to leave fruit on trees, Fox reports. Many growers have tried unsuccessfully to fill worker shortages with domestic workers, only to have little success, similar to Alabama farmers. Some Washington growers are relying on inmate labor to collect what remains of their harvests. Prison labor is significantly more expensive costing growers to pay $22 an hour per inmate, a cost of three times that of an experienced picker, Elisa Jaffe of KomoNews reports. Although the House Appropriations Committee voted to cut funding for Community Oriented Policing Services and several other criminal-justice programs that assist rural police, a joint Senate-House committee agreed last night to save COPS and some other programs, reports The Crime Report. Congress is set to approve the appropriations this week, but the programs will receive less funding than last year. "For many programs, the reductions reflect a trend that could get worse as Congress considers debt-reduction plans," The Crime Report says. Under the agreement, COPS hiring would be cut by $81 million, down to $166 million. Read the full report from the House and Senate appropriations committees here. The leading American effort to capture and store carbon dioxide from coal-fired power plants has "hit a stumbling block" that could set back what proponents call "a promising technology for addressing global warming," reports Matthew Wald of The New York Times. Ameren, the Midwestern power company that agreed to be the host for the Illinois project, "told its partners that because of its financial situation, it cannot take part as promised," Wald reports. The company was going to convert one of its old oil-fired power plants to be used for carbon capture on a commercial scale. Ameren now says it will shut the plant down by the end of the year. Wald reports that other partners in the venture, known as FutureGen 2.0, could buy the failing plant and convert it, but they would have to do so before the 2015 deadline to use the $1 billion (or 80 percent of the project's cost) promised them by the federal government. This is only the latest in a long string of setbacks for the project, which has been viewed as "the nation’s best hope for taking a worldwide lead in developing ways to capture and bury carbon dioxide," Wald writes. A recent study at the University of Missouri found that rural teens who participated in pro-social behavior, like volunteering or helping others, are less likely to abuse drugs as young adults, reports Samantha Craven of the MU News Bureau. Gustavo Carlo, Millsap Professor of Diversity in the Department of Human Development and Family Studies, examined data from surveys given to rural youth and concluded that things like volunteering "serve as protective factors against adolescents engaging in risky behaviors." Rural youth were chosen as the focus of the study because "previous research indicates they may be more apt to use illicit substances earlier, putting them at risk for developing addiction problems as adults." It's also more difficult for rural youth to get transportation to volunteer activities because rural communities are more spread out and there also tends to be less "access to recreation centers, spaces for meetings, volunteers to run programs and funding for organized activities" in rural areas. Carlo told Craven: “Many rural communities have suffered from the economic downturn and are unable to offer opportunities for youth activities. Financial stress can also affect the psychological health of parents making them less cognizant of how children spend their time." Carlo said the research in his study, however, has important implications for substance-abuse prevention and intervention programs for teens. "Pro-social behaviors are good for society and communities, but also they are a marker of moral development," he said. "Parents want their kids to be kind, selfless, considerate and respectful. We now have evidence that these pro-social behaviors make adolescents less likely to break moral codes and engage in illegal activities like getting drink and smoking marijuana." A group of public health advocates, environmental lawyers and labor groups want the Obama administration to protect farm workers who handle pesticides regulated by the Environmental Protection Agency at the same level as those "whose work with industrial chemicals is overseen by the Occupational Safety and Health Administration and U.S. Department of Agriculture," Jeremy Jacobs of Energy & Environment News reports. The rule in question is the Worker Protection Standard under the Federal Insecticide, Fungicide and Rodenticide Act, which Jacobs reports hasn't been updated since 1992. EPA said it was going to release a proposed update early next year. The coalition of groups wants the agency to make changes to protect farm workers' health, including requiring medical monitoring of workers using pesticides known to affect the nervous system, "closed systems" for mixing and loading pesticides to avoid splashing and spilling and enclosed tractor cabs when pesticides are being sprayed. Medical monitoring of workers and closed mixing systems are already required in California and Washington. Days after the Obama administration said it would delay a decision on the Keystone XL oil pipeline, an agreement was announced to reroute the line to avoid the Sand Hills region of Nebraska, right. The announcement was made Monday, during a special state legislative session called to consider the issue. TransCanada, the oil company, said it would support state legislation to shift the route. If approved, the pipeline would carry to the Gulf of Mexico heavy oil produced from Alberta tar sands. The Sand Hills region is environmentally sensitive and overlies the Ogallala Aquifer, the drinking-water source for much of the Great Plains. Daniel Frosch of The New York Times reports the rerouting offer does little to change the State Department's plans to conduct a new environmental review of the changed route. A new review is expected to take over a year and push the final decision into 2013, after the next presidential election. Though the deal is being hailed as a "win-win," Paul Hammel and Martha Stoddard of the Omaha World-Herald report opponents of the pipeline project question why Nebraska taxpayers will pay for the review by the Nebraska Department of Environmental Quality. Spokeswoman for lobbying group BOLD Nebraska said taxpayers should not have to pay for TransCanada's mistake of trying to cross the Sand Hills. Sen. Mike Flood, a key proponent of the compromise, said "the cost was worth it to protect the state's natural resources and to ensure that a state review would be impartial." Before the attacks of Sept. 11, 2001, military-like Special Weapons and Tactics teams only existed in large cities and were used sparingly. Now, almost every local police force has a SWAT team and employs it for "everyday patrolling" and tasks as small as serving search warrants. "To assist them in deploying this new weaponry," Rizer and Hartman report "police departments have also sought and received extensive military training and tactical instruction," with most members of local SWAT teams being trained by the U.S. special operations commandos. Former Seattle Police Department chief Norm Stamper writes on AlterNet that the militarization of local police forces is a result of not only increased counterterrorism tactics, but also of the decades-old war on drugs. Stamper writes: "There are more than 50,000 police paramilitary raids in the United States each year – more than 130 every day. Virtually all are for prosecution of drug warrants, the vast majority involving marijuana. Many jurisdictions use SWAT teams for execution of every search warrant for drugs." Rizer and Hartman report "the most serious consequence of the rapid militarization of American police forces is the subtle evolution in the mentality of the 'men in blue' from 'peace officer' to soldier," which they classify as an "absolutely critical" development in a fundamental change in the nature of law enforcement. Stamper writes that a growing minority of cops are starting to "realize the harm these tactics have done to the people they’ve been hired to serve, the risks to their own safety and wellbeing, and the erosion of public confidence and respect for law enforcement." 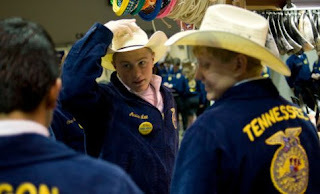 At a time when farm employment accounts for less than one percent of all U.S. jobs, the FFA, once the Future Farmers of America, is the largest vocational student group in the country, with more than half a million members, reports Motoko Rich of The New York Times after covering the group's annual convention in Indianapolis. About 70 percent of F.F.A. 's members live in rural areas, but the fastest growing segment of the membership is found in urban and suburban areas, which make up about 10 percent of the organization. "You would think that something called Future Farmers of America would have come to a screeching halt by at least the 1960s in most parts of the country," Iowa State University historian Pamela Riney-Kehrberg told Rich. She said the group has succeeded largely because it has continued to remain relevant. FFA has expanded its agriculture science focus to include genetics, logistics, landscape gardening and alternative fuels. Chapters of the group also "aim to teach students leadership and job readiness as much as the finer points of cattle care or corn fertilization." Rich adds, "At a time when many employers complain about the lack of basic communication and interpersonal skills among job candidates, the FFA emphasizes work on group projects and old-fashioned presentations in essays and speeches at many of its events. Even in the purely agricultural contests like the judging of livestock, students defended their positions before the judges as if they were trial lawyers in court." More than 1,200 retailers, including CVS, Walgreens and Rite Aid, were issued warning letters by the Food and Drug Administration this year for illegally selling cigarettes to minors. FDA inspectors conducted 27,500 undercover checks by sending children under 18 into stores to buy cigarettes. These checks resulted in hundreds of letters being sent to retailers. Many of the warnings were sent to stores in rural areas, where a recent U.S. Department of Health and Human Services report found youth are more likely to use tobacco products. In 2009, Congress gave the FDA broad authority over tobacco manufacture and sales, and store workers are required to check identification of anyone looking younger than 27. Another provision of the Tobacco Control Act "allows the agency to contract with states to inspect spots where youths could buy cigarettes or chewable tobacco," Alina Selyukh reports for Reuters. "FDA officials said they are on a mission to begin battling the stubbornly high U.S. smoking rates by keeping tobacco out of underage hands in the first place." The agency posted the warning letters on its website last week with a searchable database of all checks it conducted. The letters allow retailers to correct their infractions without fines, but repeat offenders could face fines or loss of ability to sell tobacco products of any kind. To see if retailers in your state, community or city were issued a warning letter, search the FDA database of compliance checks. The U.S. Department of Education announced 23 highest-rated "Investing in Innovation" potential grantees for the 2011 grant fund of $150 million last week through a press release. This year's "i3"competition required applicants to focus on one of the five absolute priorities, including a new one aimed at "increasing achievement and high school graduation rates in rural schools." Finalists were selected from almost 600 applicants and must secure matching private donations equivalent up to 15 percent of specific awards by Dec. 9 to receive the grant. Berea College is one of the 23 potential recipients and would use the money for education initiatives in Appalachian Kentucky. North Carolina's New Schools Project would use its grant money on a program to increase college readiness. Said Education Secretary Arne Duncan: "This round of i3 grantees is poised to have real impact in areas of critical need including STEM education and rural communities, on projects ranging from early childhood interventions to school turnaround models that will prepare more students for college and career." For a summary of the announcement, which includes a link to the list of 23 potential grantees and frequently asked questions about the program, click here. 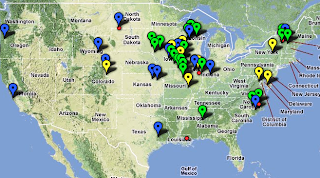 Journalists, lawmakers, landowners and others interested in electric transmission projects in the Great Plains and Upper Midwest can now track the progress of projects in their communities through the Center for Rural Affairs' new Clean Energy Transmission Database. The database contains information about 20 proposed transmission lines that would transport wind energy to more than 11 states. Many of the highlighted projects are still in planning and development stages, so the map is only a rough approximation. The center says it will update the map as more information becomes available. To see a map of the proposed lines, click here. 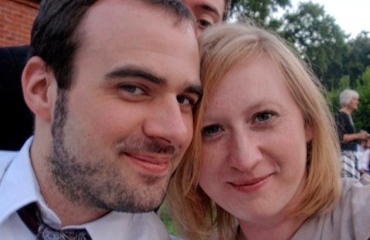 Nick McCormac took time from his usual coverage of local and state politics to tell the story of how he and his girlfriend met at a bar through a friend and talked all night and into the morning. Everything for them seemed to fall into place almost too perfectly over their year-and-a-half long relationship, he wrote. The actual proposal speaks for itself: "No matter what I do or what I say, no words could ever justifiably describe how I feel about you. But there are six words that come awfully close. Whitney Bragg, will you marry me?" McCormac told Nina Mandell of the New York Daily News that Whitney "read the column on the computer as the two were getting ready to leave for work as McCormac looked on nervously." She "turned around and had tears in her eyes" and took a few seconds to respond with a "yes." The column has received heavy response. It was first linked on the journalism website Poynter.org, and then again on the Southern Newspaper Publishers Association site last week under "Reader's Corner." For McCormac, his proposal just made sense: "I'm a lot better at writing than I am at speaking. Ever since I've become a professional writer, I've looked at it as something really unique."